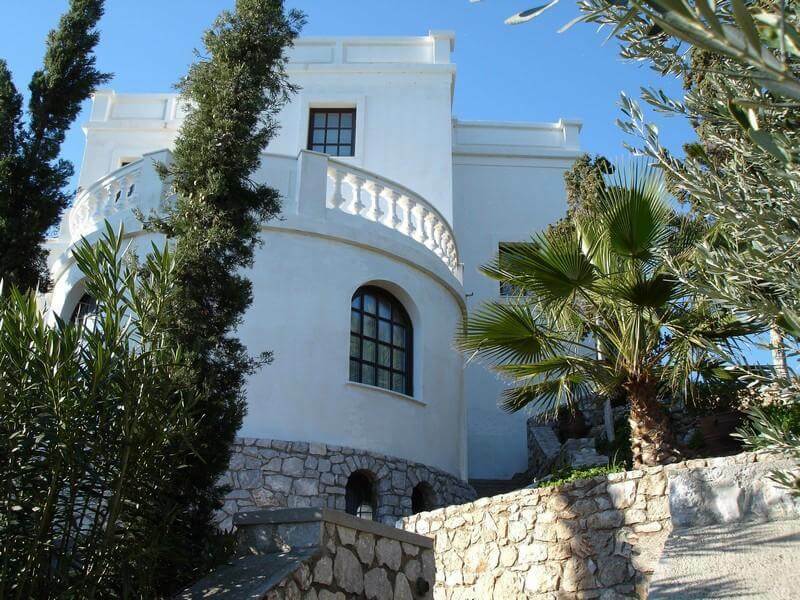 Situated in Greece in the most wonderful and populated areas islands, the Neoclassical villa has an unique and elegant architecture design. It is the perfect place fore you to stay on a holiday due to is wonderful design architecture amazing see view and of course the great facilities and relaxing accommodation. I have to mention that this is a particular property because here are some extraordinary tasteful 2 Melon Field Areas (Total 1000 sq m) for Seasonal Plantation and also there are over 700 Olive Trees (for Olive Oil production), over 100 Phoenix Variety Trees (Palm Trees, Cycas, Chamaerops, Dactylifera,Yucca), Peach trees, Blackberry Trees, Fig trees, Lemon trees, Orange Trees, Mandarin trees, Lotus and so on. The interior design is decorated very nice with very good taste which reflect the exotic and elegant architecture interior design.